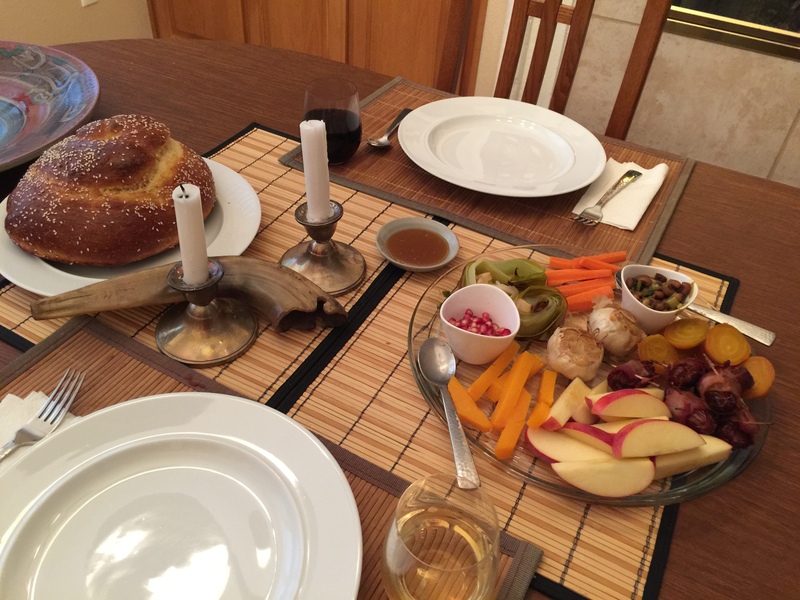 While looking through some recipes for Rosh Hashanah on the internet I came across an article talking about a Seder for the new year celebration. Much like a Passover Seder it had lots of ritual ingredients but also a fun twist. The original Hebrew or Aramaic had lots of puns when talking about the different foods. So we decided to give it a try saying the blessings but also incorporating puns in our meal. Clockwise starting from the carrots at 12 o’clock are carrots, black-eyed peas, golden beets, dates, apples, butternut squash, pomegranate seeds, and leeks. In the center standing in for a ram’s head are two heads of roasted garlic. So with the exception of our daughter wrapping the dates in bacon, it was totally vegetarian. Most of the blessings have to do with vanquishing our enemies and gaining merit. You can also imagine how we worked in puns using dates, squash, leeks, etc. I made the bread and we toasted each other with wishes for a happy and healthy new year. 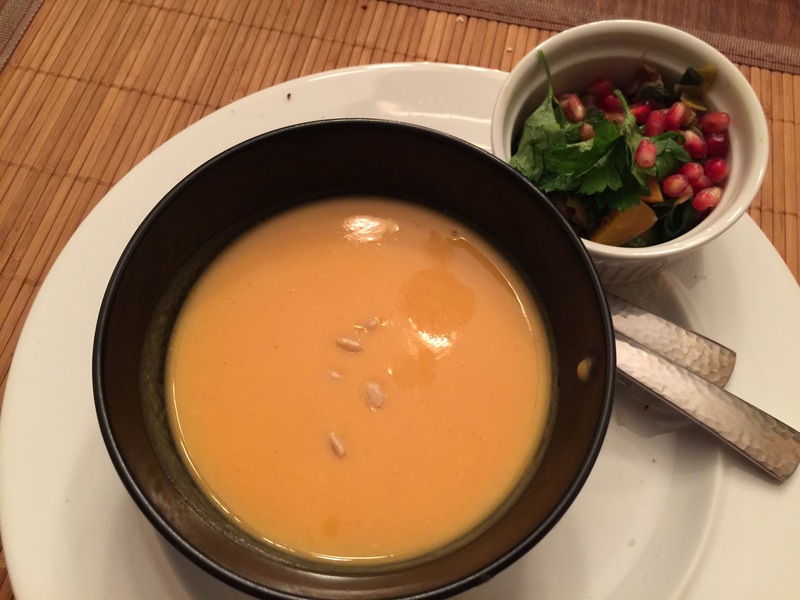 Our main course was a soup made of puréed root vegetables and vegetable stock and a ramikan of black-eyed peas, leeks, and pomegranate seeds. This entry was posted in Legumes, Vegetables, Vegetarian and tagged autumn soup, holiday, Rosh Hashanah, vegetarian. Bookmark the permalink.